This is the perfect Christmas or winter collection of short love stories! An anothology is a surefire hit for everyone with several different stories from well-known and new Christian authors. It’s a great way to get a taste of an unknown author’s writings before you search out more of their works. This collection warmed my heart with each of their love stories set around Christmas’. 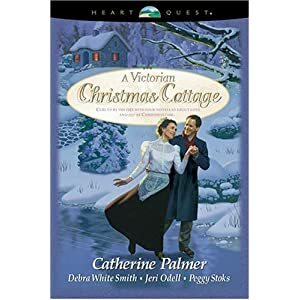 I enjoyed each of these stories and it is hard to pick a favourite because they are each so different, but I think I might choose Catherine Palmer’s Under His Wings. I have a particular fondness for English nannies ever since studying the Bronte’s works of fiction in university, particularly Jane Eyre. This story is the typical young English woman comes to care for motherless child and ends of falling in love with the lonely, broken hearted father. Although it is typical in storyline, it is lovely and romantic and is a delightful read for the romantic at heart. A great stocking stuffer or a pick-me-up for a nice weekend winter read!